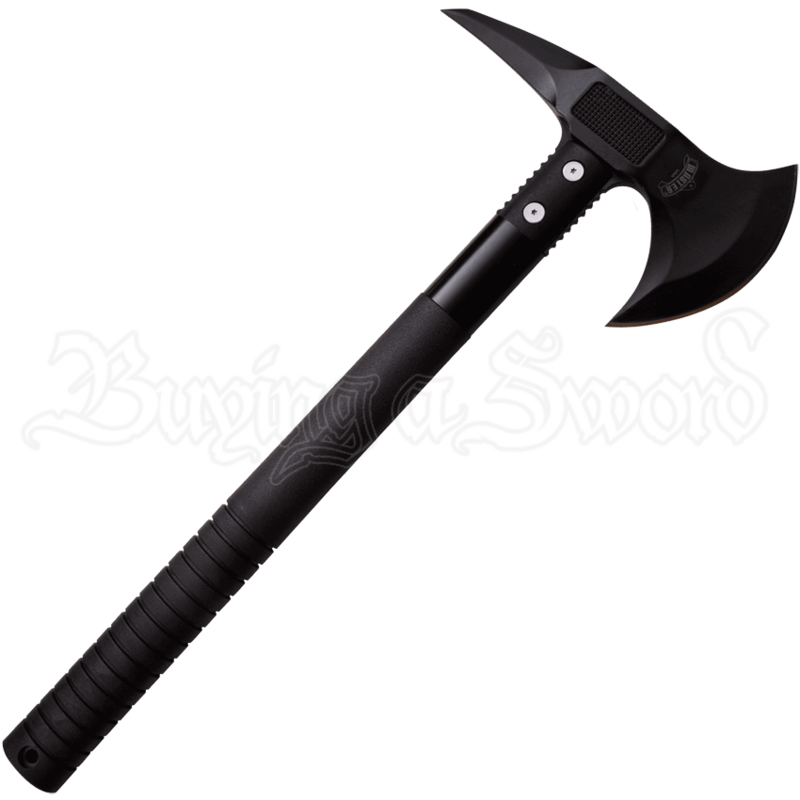 For all of your chopping and hacking projects, this Black Tactical Battle Axe is an optimal choice. Making your way through the outback or adding to your home arsenal, you will have excellent function in a stylish matte black finish. Featuring an elegantly curved blade made from 18mm stainless steel, this axe will cut a swath through all the tasks and undead foes you may encounter. 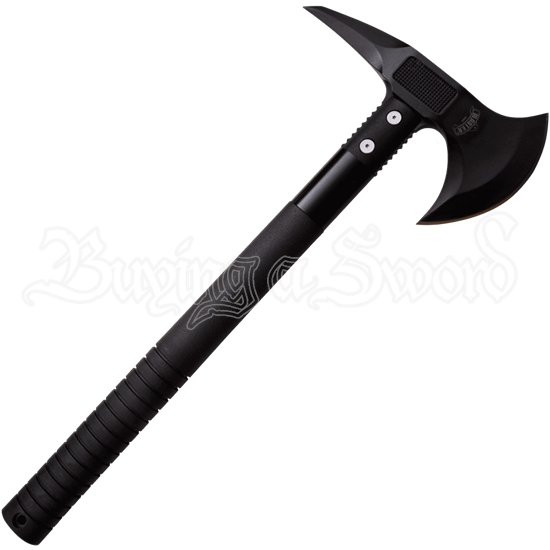 The Black Tactical Battle Axe also includes a pick on the poll side, for added utility. The nylon fiber handle is ridged for a secure grip and includes a drilled lanyard hole at its end. When not in use and for safe transport, the double-ended blade can be encased in the included 600D nylon sheath.